Thanks for listening to these songs. They were fun to create, as writing instrumentals gave me a chance to spread my wings and jam a bit. Many thanks to my wife and kids (Becky, Meg and Clay) for letting me indulge in my passion; and to my mom, dad, brothers and friends for their support and encouragement through the years. Some people have asked: "Donnie who?" When I was younger, I thought my last name was too long for a musician, so I opted to use my middle name. Now, many years the wiser, I've decided to release these tracks using my real last name. 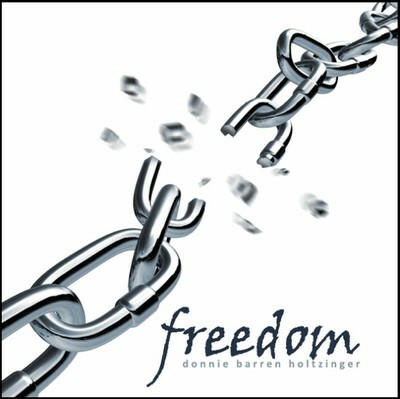 So, for those people that knew Donnie Barren (or "dB" for short), I'd like to introduce you to Don Holtzinger. I wrote, performed and recorded these songs at Parkside Studios in Seattle, Washington, and published them through BMI. The the flute on "Family" was played by Meg Holtzinger, and the handclaps on "Freedom" were performed by several people, including Becky, Meg, Clay, Sylvia, Nathan, Miles, Will, Bob, Mary, Nate, Claire, Abby, Rachael, Anna, Julia, & Fendi. I hope you enjoy the tracks.